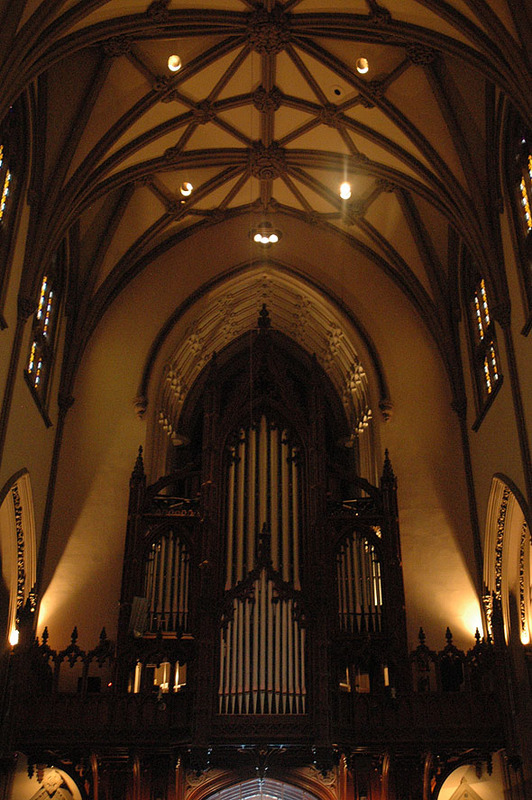 Designed by American Institute of Architects co-founder Richard Upjohn, it is now listed on the National Register of Historic Places. 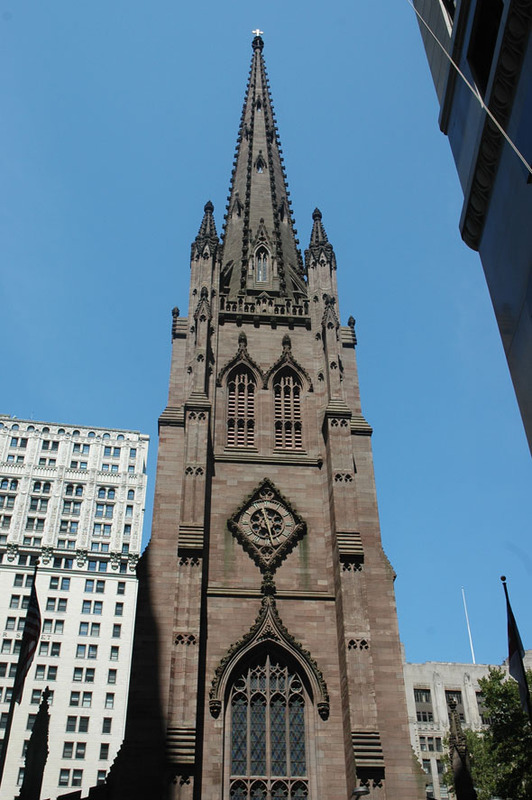 This church building is one of the first and finest examples of Neo-Gothic architecture in the United States. 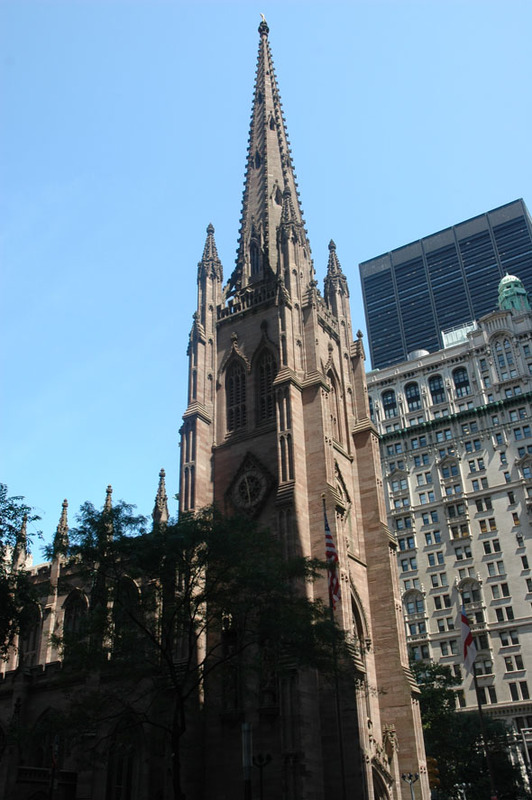 The basilica plan church is built in the English Perpendicular Gothic Style of the 14th century, signaling the arrival of Gothic Revival ideals brought from England to New York in the mid 19th century. 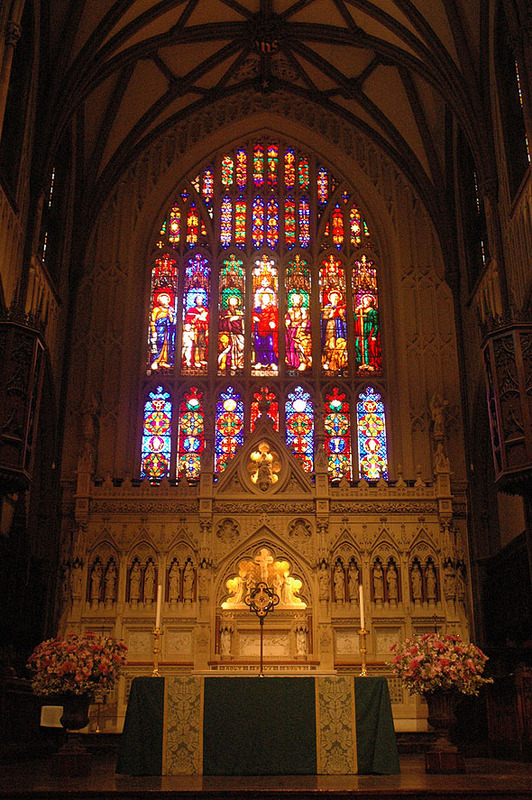 The church’s stained glass windows recall medieval models, while its ornate bronze doors echo the doors of Florence’s Renaissance Baptistry. The use of brownstone signals a popular interest in locally available materials. 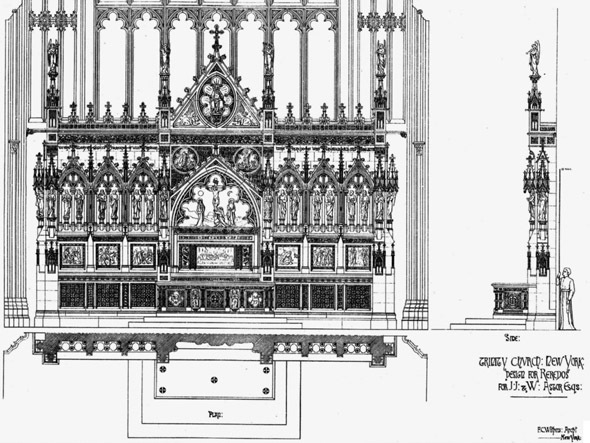 Illustration of a design for reredos by F.C. 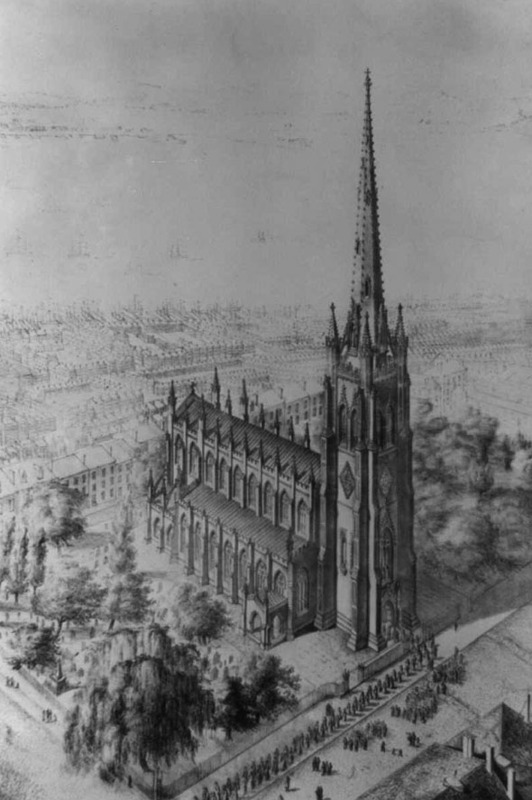 Withers published in The Building News, September 22nd 1876.